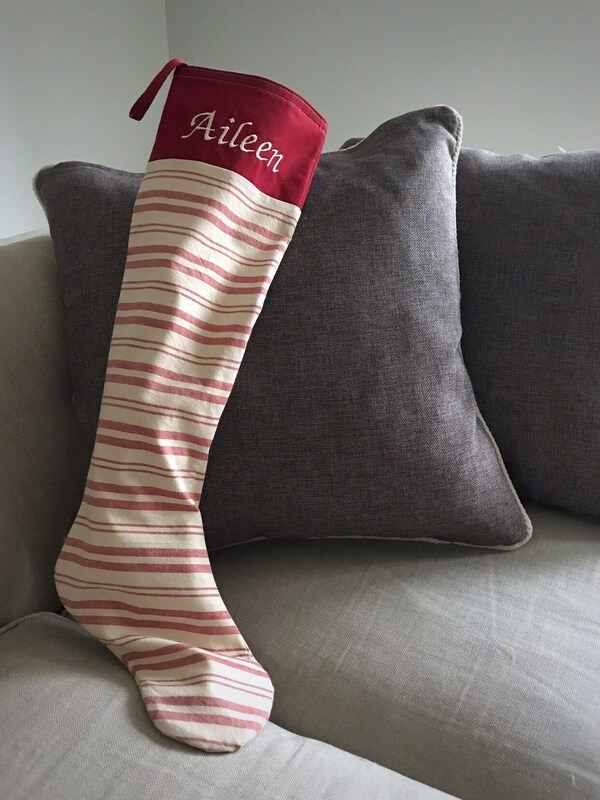 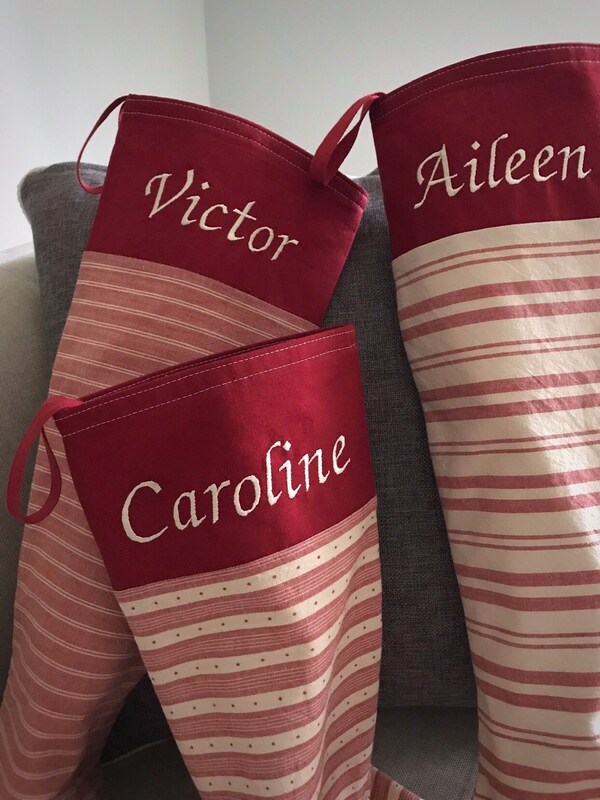 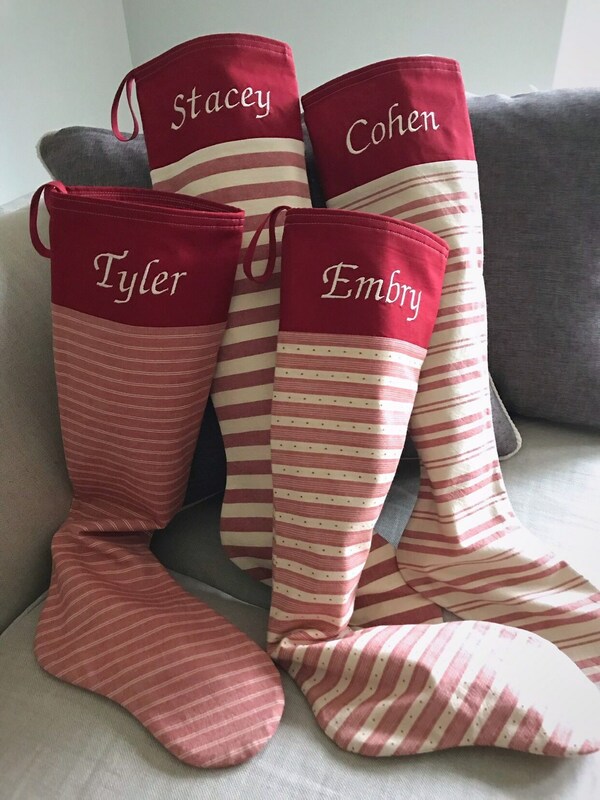 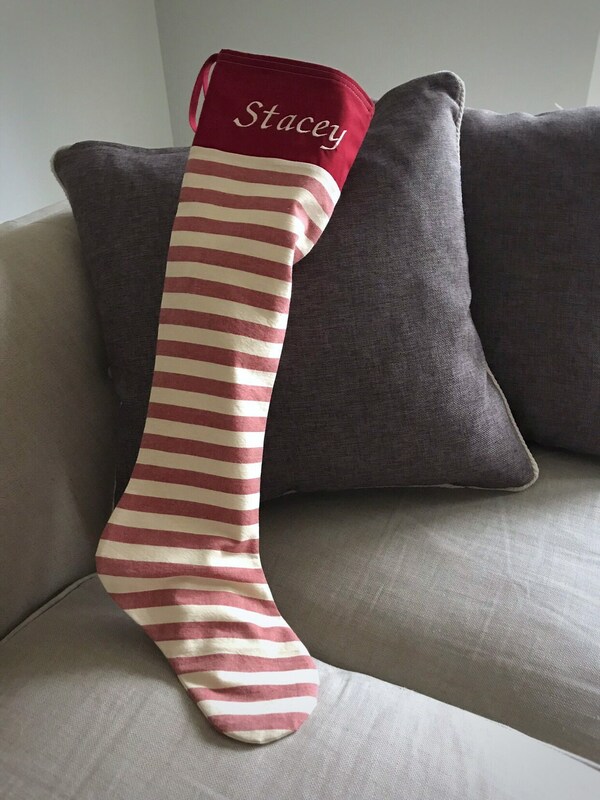 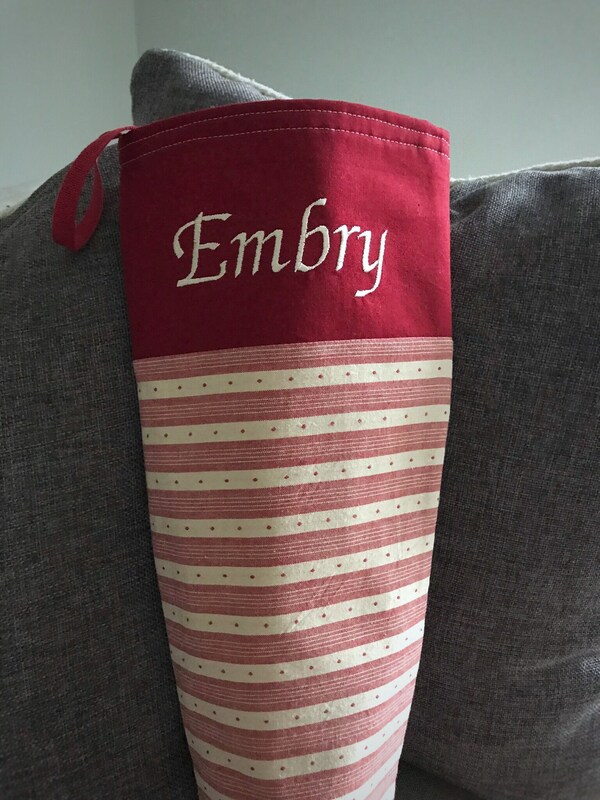 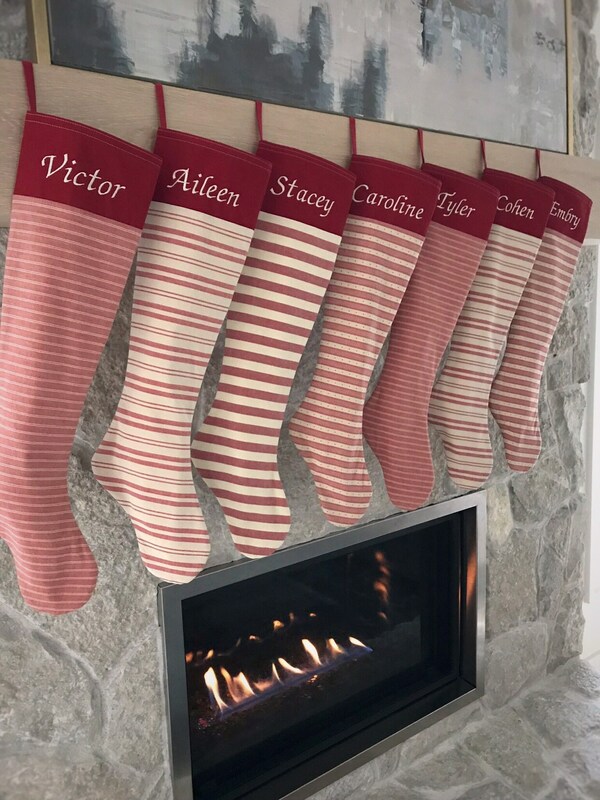 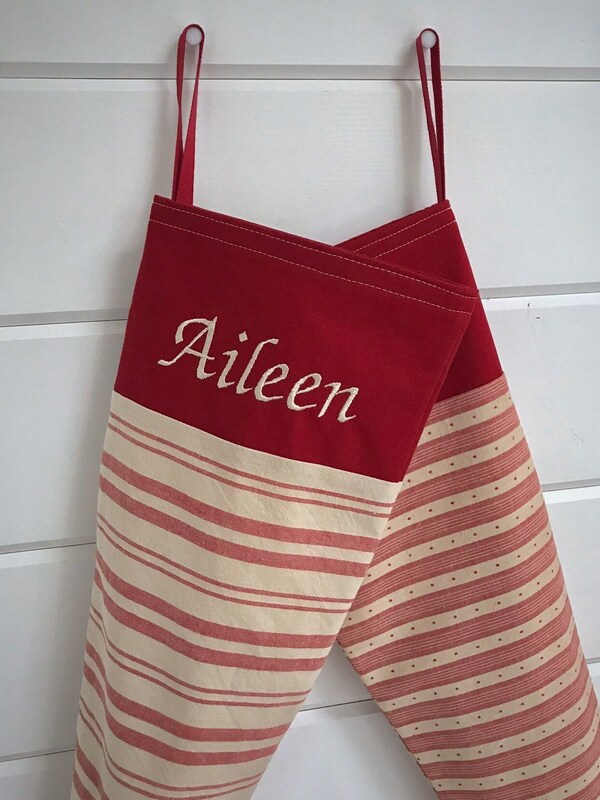 Long, quiet Scandinavian Christmas stockings, in warm muted tones of red and cream, with full names embroidered on built-in cuffs. 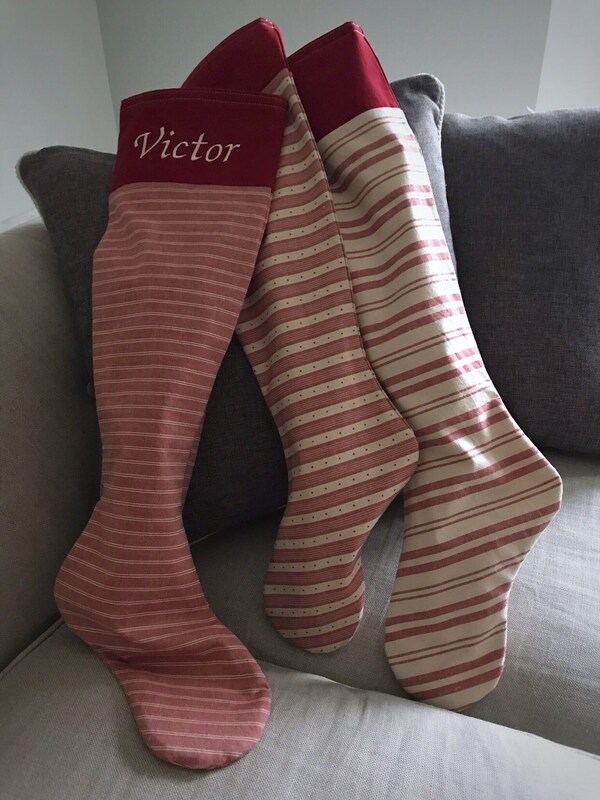 A fresh addition to my Nordic Collection. 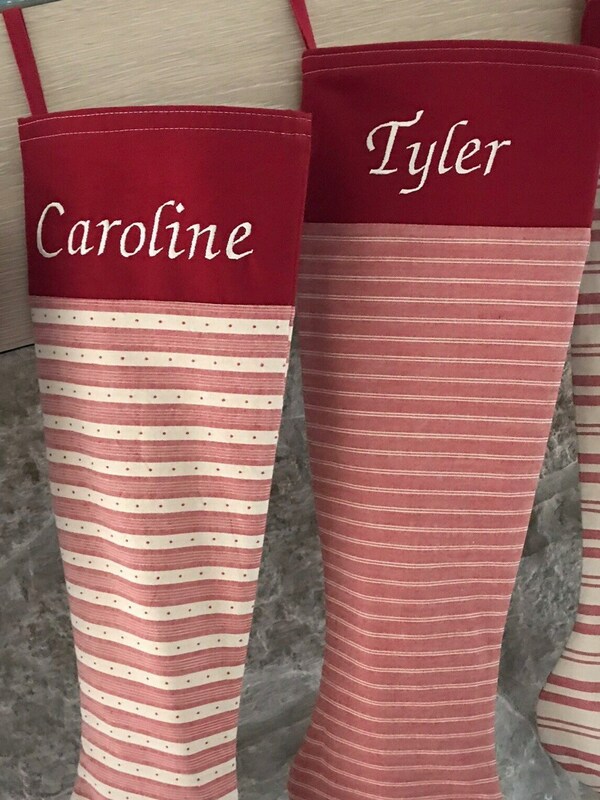 Each is just over two feet long. 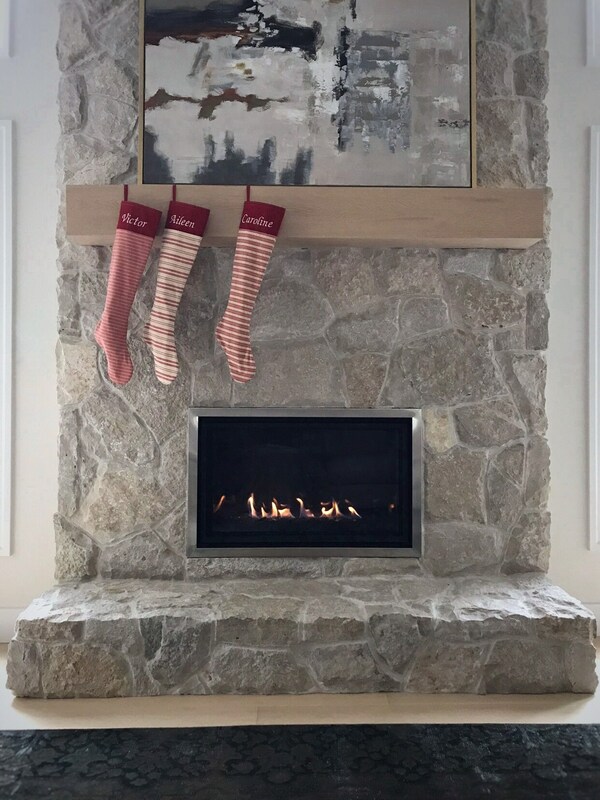 Perfect for an alpine hike on crunching snow, or a fresh ski through the frosty pines ... then on to the mountain lodge for a big steaming mug of peppermint tea!